Recipe by the blog La Bonne Bouche, Photos by Priscillakittycat. Via Verde (on 69th and Biscayne Blvd) is a year-old Italian Restaurant run by two real Italians, Nicola and Fabrizio. 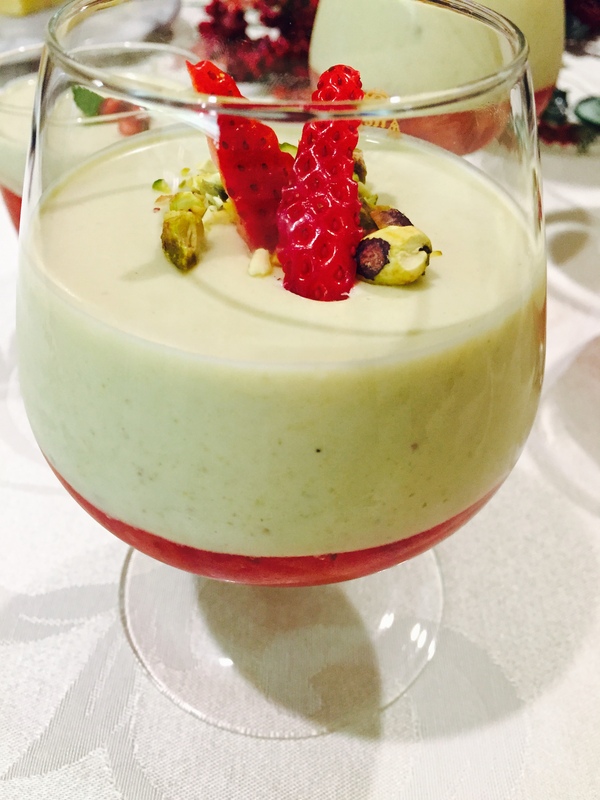 Among other dishes, I’m sold on their Pistachio Panna Cotta. Panna Cotta just means cooked cream in Italian. I like Panna Cotta because it’s practically sugarless. It’s smooth and light. Combine Panna Cotta with a berry geleé and you have a dessert that’s fit for a king. Christmas is all about making people feel special. I hope everyone felt special this Christmas Eve. My wish for Christmas is and always will be: That every child feels safe and warm at bedtime and that every stray and abandoned animal finds a forever loving home. Holiday Hugs and Kisses. Via Verde é um restaurante Italiano que fica na 69 com a Biscayne em Miami. Estou encantanda com o restaurante de Fabrizio e Nicola que tem pouco mais de um ano de existencia. Eu já gosto de Panna Cotta então quando vi a Panna Cotta de Pistachio no menu, eu tive que provar. 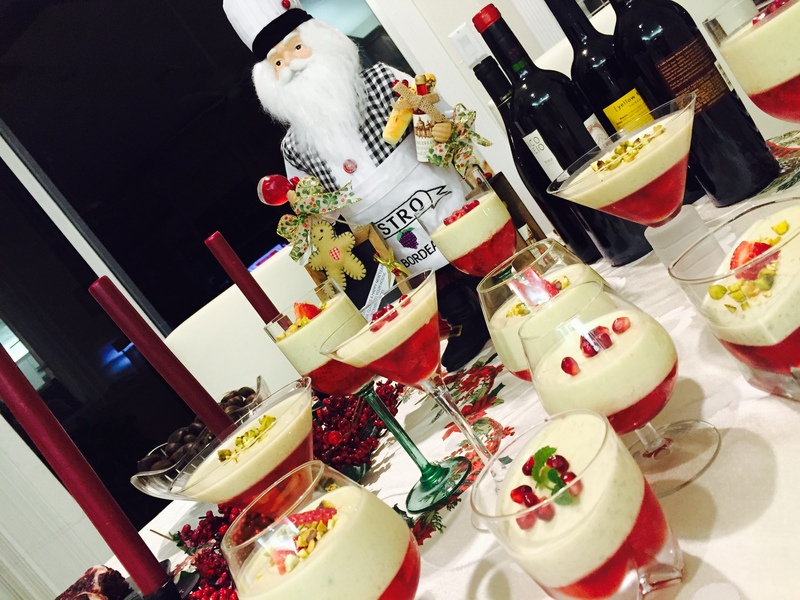 O bom da Panna Cotta (crème cozido) é que contem pouquissimo açucar. Para mim o Natal significa fazer os outros se sentirem especiais. Espero que todos se sentiram especiais neste Natal. Meu desejo de Natal é: Que toda criança sinta acolhida e agazalhada na hora de dormir e que todo animal abandonado encontre uma familia. Beijinhos para todos neste Natal.